These tours give guests the incredible opportunity for a bird's-eye-view at the rim of the canyon all the way down to the Colorado River. Feel the adrenaline rush of a lifetime as a helicopter whisks you almost a mile down to the canyon floor. You'll get to stand near the bank of the Colorado River and gaze up at the 4,000 feet of ancient stone walls surrounding you. See Eagle Point, home to the Skywalk, then Guano Pont, and the rest of Grand Canyon West from the comfort of our climate-controlled aircraft. Then embark on a self-guided tour of the rim, including Hualapai Ranch. Aerial flight of Grand Canyon West by helicopter and entrance package that includes shuttle service to stops along the rim. See the West Rim from above on a helicopter tour, then from below on a smooth water boat tour. The home of the Hualapai Nation for centuries, the Grand Canyon West Rim offers a viewing experience unlike any other. Eagle Point, a massive stone wall featuring the unmistakeable shape of an eagle, is revered by the Hualapai people both ancient and modern. 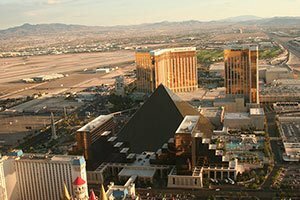 However, what makes this location so exhilarating is actually manmade: the Skywalk, positioned directly across the canyon from Eagle Point. 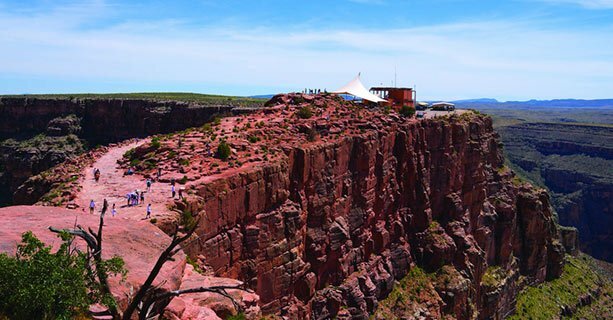 Also situated in the West Rim is Guano Point - offering a complete 360-degree view of the canyon. Walk out along this nearly mile high peninsula further into the canyon, with many prime photo opportunities along the way. Climb to its summit for the highest view of the canyon surrounding you on all sides. You can find some of the best landscape views at the West Rim, to complete your experience of the jewel of American Southwest: The Grand Canyon! 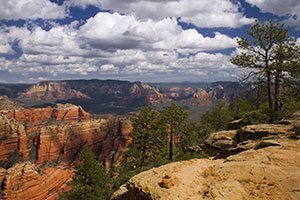 If you are looking to see the Grand Canyon but want to avoid the crowds that flock to the South Rim, turn your trip into an exploration of the canyon's West Rim! Situated in the Hualapai Nation, this area of the canyon features magnificent, naturally-sculpted rock formations and plenty of outdoor activities to enjoy. 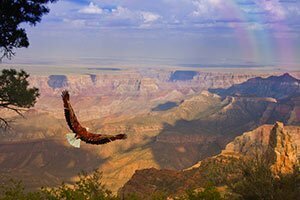 Discover the magic of the land cherished and revered by the Hualapai people for centuries: the Grand Canyon West. 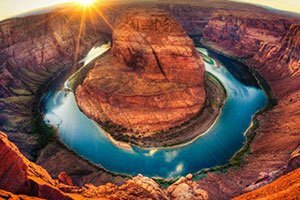 Operating as a tour destination since 1988, the Grand Canyon West Rim has grown significantly in popularity, pulling in over 700,000 tourists per year. Despite its influx of visitors, this rim still allows plenty of space for guests to spread out and spend time either alone or with their families - which is perfect for picture-taking. The multiple lookout points makes for a busy day, but don't worry - shuttles can transport you to each destination. 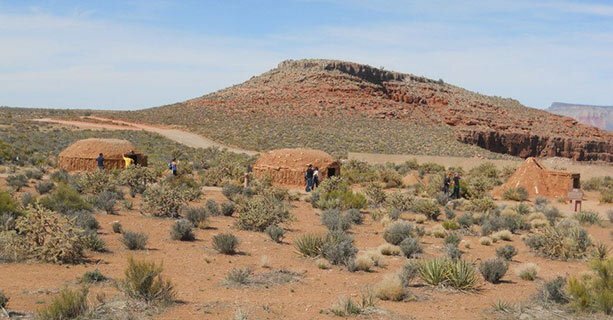 Before a day of exploring in the sun, go back in time to the Old West at Hualapai Ranch. The cowboy town features beautiful American Southwest gifts and souvenirs, as well as activities like lasso-making, quick draw lessons, wagon rides, and Wild West entertainment like music, dancing, and even a gunfight! Exploring on foot is only the beginning of the sightseeing possibilities available here at the West Rim. We offer several tour packages ranging from helicopter rides to plane trips to boat excursions. Our helicopters feature comfortable seating and large windows that allow for 180-degree viewing. 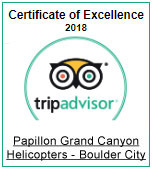 Your helicopter can even drop you down 4,000 feet and land on the canyon floor. After seeing the canyon from the air, make the short trek to Guano Point, where you can experience a complete 360-degree view of the canyon walls. If you're up to the challenge, you can climb to the top of the point for an even higher view. If you need a break from your adventure, Guano Point also features a fantastic cafe, complete with authentic barbecue dishes. Undoubtedly the must-see part of the West Rim is Eagle Point - a naturally carved section of canyon wall that bears a striking resemblance to a massive eagle spreading its wings in flight. This breathtaking is considered sacred by the Hualapai Natives, and is an integral sight in your Grand Canyon West experience. Fortunately, this rim features the most fantastic opportunity to see Eagle Point - The Skywalk Bridge. 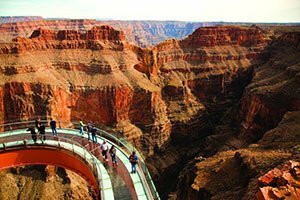 The tremendous U-shaped bridge juts out 70-feet from the rim of the canyon, allowing guests to stand 4,000 feet in the air. This architectural marvel also boasts a glass bottom, offering the perfect view straight down to the canyon floor. Almost a mile beneath the Skywalk deck flows the Colorado River; directly across, the mighty Eagle Point spreads its wings. 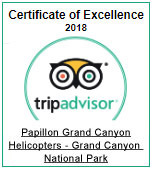 No matter what type of experience you're looking for, be it historical, thrill seeking, or just plain sightseeing, you are sure to find it at the Grand Canyon West. Call us today and let us help you plan the most amazing adventure.